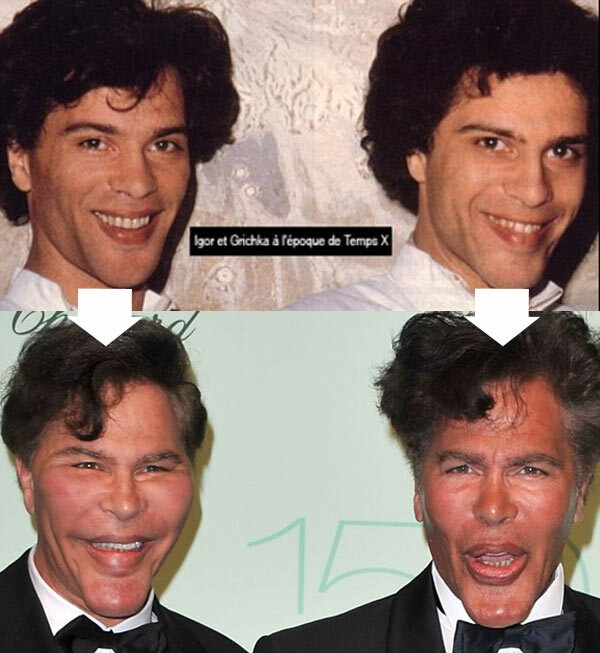 Bogdanoff Brothers before and after plastic surgery. 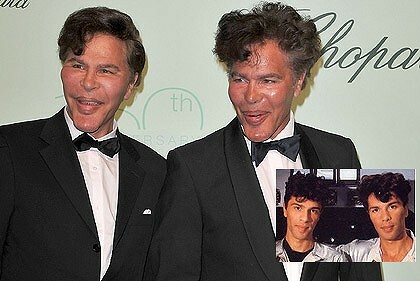 Everyone brace yourselves for the Bogdanoff Brothers! Igor and Grichka Bogdanoff are French celebrities of sorts, known for their work on television and producing, plus they are both Ph.D. graduates in the field of theoretical physics and mathematics, often discussing their theories of the universe. And when these two beautiful brothers aren't working hard at changing the face of the world, they lean on their favorite pastime, which is evidently changing their own faces by means of plastic surgery. Since the turn of the century, both Igor and Grichka Bogdanoff have steadily altered the entire architecture of their faces, most notably the extension of the chin and the increased size of the cheeks. But is this the result of botched plastic surgery? Its become quite a mind boggling mystery, and considering their unwillingness to discuss the topic during interviews, some have suggested their altered appearance may be attributed to the ingestion or side effects of the steroid dehydroepiandrosterone, causing acromegaly disease. And while the majority of speculators believe these are clear signs of bad plastic surgery, we'll consider this an unsolved mystery, with a strong possibility of cheek implants, chin implants, facial fillers, botox and lip injections. They don't need a plastic surgeon, they need a psychiatrist.